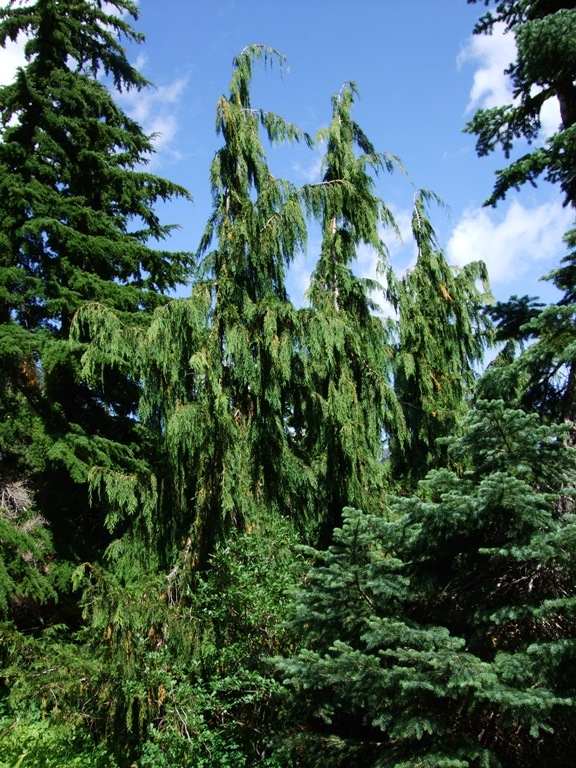 Names: The Alaska Cedar is sometimes called Yellow Cypress, Nootka False Cypress or many similar variations. I like to mix terms and simply call it “Alaska Yellow Cedar.” Nootkatensis means “of Nootka Sound.” Nootka is a tribe that lived primarily on Vancouver Island in British Columbia. 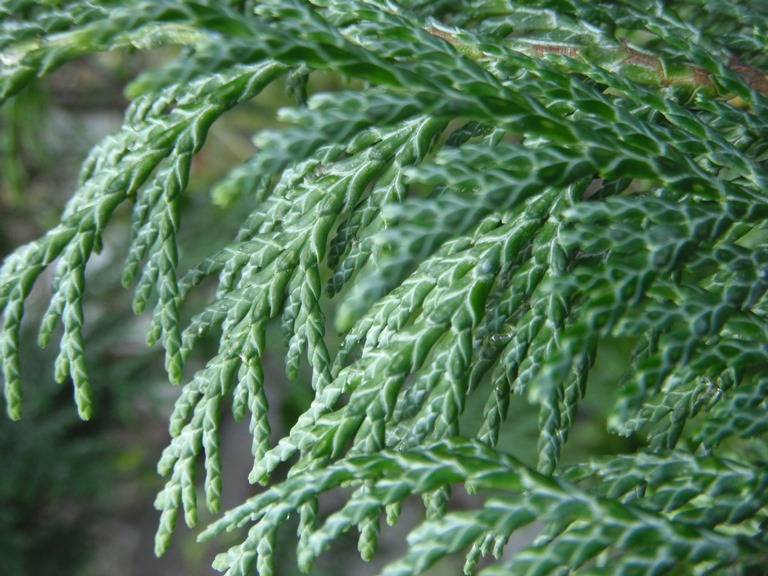 Most horticultural professionals know this species as Chamaecyparis nootkatensis. Relationships: There has been some controversy about its correct relationship and naming. 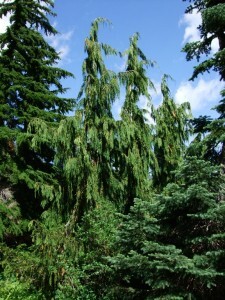 It is sometimes listed as Cupressus nootkatensis, but it is thought to be sufficiently different from both Cupressus and Chamaecyparis and should belong to an entirely different genus. Botanists now place it in the genus, Callitropsis (meaning: beautiful turning). 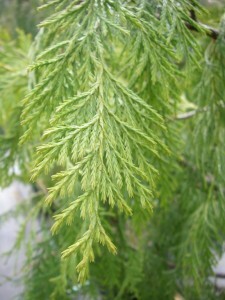 However, some propose that it should be placed in another genus, Xanthocyparis, (meaning “Yellow cypress”) along with a newly discovered Vietnamese Golden Cypress. 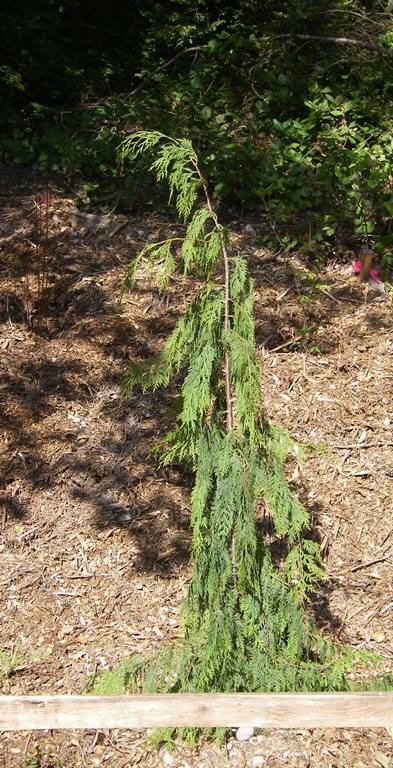 Distribution: Alaska Cedar is found along the coast from southeast Alaska through British Columbia. In Washington and Oregon, it is found mostly in the Olympic Mountains and on the western slopes of the Cascade Mountains. Growth: These graceful, relatively slow growing trees may be the oldest living trees in the northwest. Some are known to have been over 1,800 years old. Though the tallest known Alaska Cedar, on Vancouver Island, is 200 feet (60m) tall, they typically only grow 60-120 feet (18-36m). 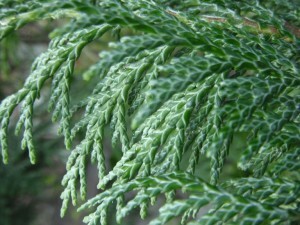 Habitat: Alaska Cedar grows in wet to moist sites, from the coastal rainforests to rocky ridgetops near the timberline in the mountains. 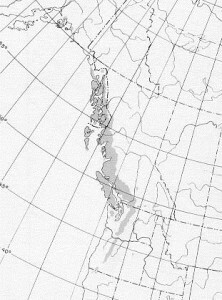 In Northern British Columbia & Alaska it descends more often to sea level and is often associated with wet boggy forests. Wetland designation: FAC, Facultative it is equally likely to occur in wetland or non-wetland. Diagnostic Characters: The yellowish or bluish-green leaves are scale-like with sharp pointed spreading tips. If you stroke the branchlets the wrong way, they are very prickly. The cones begin as round, bumpy, whitish-green berries. They ripen to brown, woody cones with 4 to 6 mushroom-shaped scales with a point in the top center of each scale. The grayish-brown, shaggy bark can be peeled off in long, vertical strips. When you expose the yellowish, inner bark, it smells like raw potatoes. The wood is a bright yellow. The scale-like leaves are prickly when stroked backwards. 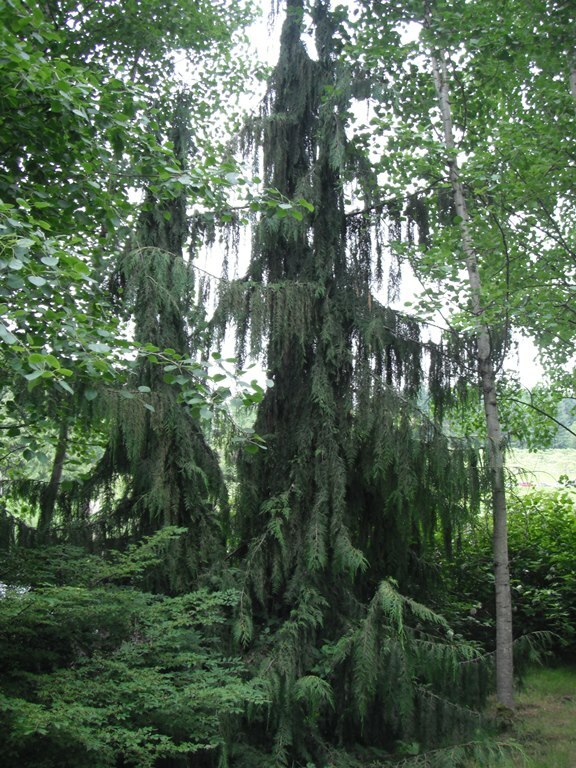 In the Landscape: There is some variability in the growth habit of Alaska Cedar. Some trees may have flattened branches that droop or “weep” more than others. 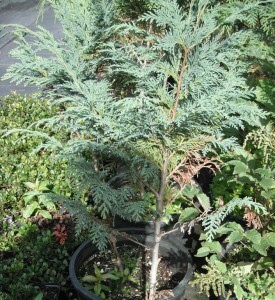 The cultivated variety, ‘Pendula,’ has a very distinct narrow, weeping form. Alaska Cedar is a very popular landscape tree. Because of its narrow form and slow growth it can be grown successfully near commercial buildings. Its attractive, weeping habit makes it sought after to provide a focal point for formal landscape gardens. Phenology: Bloom Period: From April in the southern end of its range to June in the north. Cones usually mature the following year, both first and second year cones may occur on the same branch. Propagation: Seed germination rates tend to be low, but a germination rate of about 12% may be obtained with a warm stratification for 30 days followed by a cold stratification for 30 days at 40ºF (4ºC). Seed can be stored dry for 3-5 years. Greater success may be achieved with cuttings treated with IBA or by layering. Seedling stocks exhibit much more variability in form; vegetative propagation allows you to select desirable traits such as a “weeping” habit. Use by People: Natives in Alaska and British Columbia used Alaska Yellow Cedar in much the same way as more southern tribes used Western Red Cedar. The preparation of the Alaska Cedar bark was more time-consuming because it had to be soaked and boiled to remove the pitch. But, because of its softness, it was often preferred over Western Red Cedar bark for weaving blankets, robes, and capes. The wood was used to make many tools and containers, but it was especially popular for making bows. Alaska Cedar is not logged much anymore in Washington but is still being cut in British Columbia and Alaska. 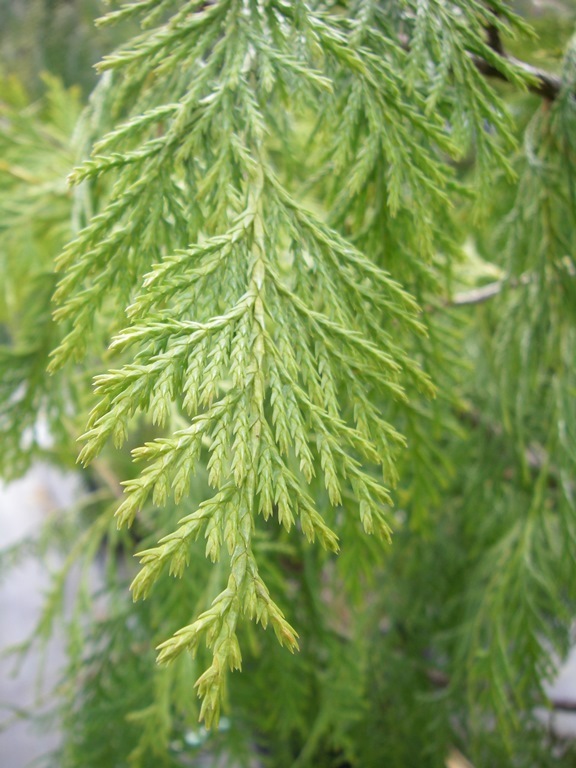 The wood is highly prized by the Japanese for use in temples because of its similarity to their sacred Hinoki False Cypress, Chamaecyparis obtusa. Use by Wildlife: Alaska Cedars are used for cover by birds, small mammals and larger browsers such as deer. It has low food value for birds and small mammals. 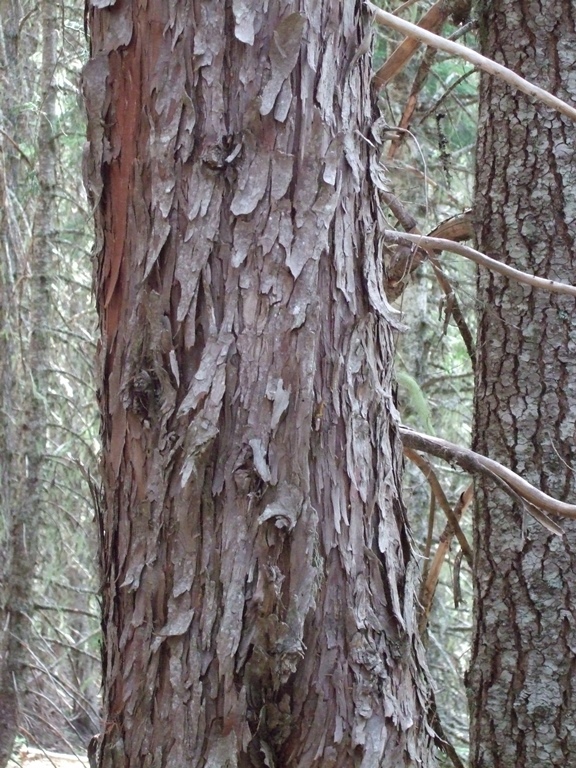 Alaska-cedar is of minor importance to wildlife as browse except when densities of deer are high. The Alaskan brown bear may strip the bark of the tree in the spring to feed on the sweet sap. 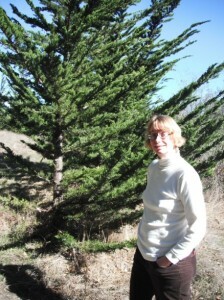 The Leyland Cypress, Hesperotropsis leylandii (Cupressocyparis x leylandii), is a hybrid between Alaska Cedar and The Monterey Cypress, Hesperocyparis (Cupressus) macrocarpa. The hybrid was first discovered in a garden in England where the two parent species were growing in close proximity. The hybrid has since arisen by open pollination on several separate occasions. 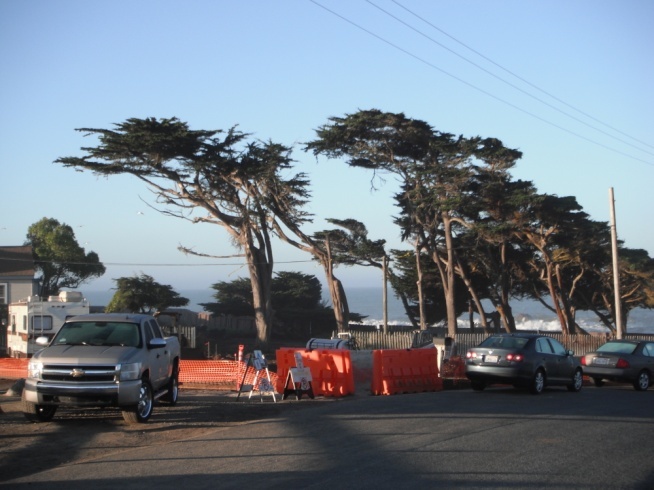 Like the Monterey Cypress, it is resistant to sea winds. Its most popular use is as a fast growing screen when many are planted in a row. Another similar species, Port Orford Cedar, (also known as Lawson Cypress), Chamaecyparis lawsoniana has a limited distribution in its native southwest Oregon. 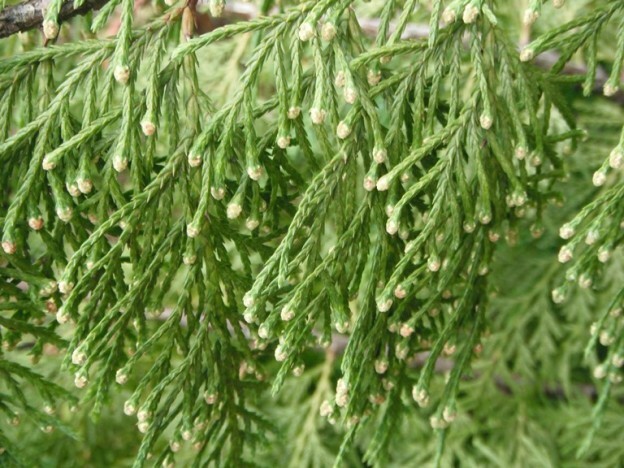 Chamaecyparis species are generally called “False Cypresses.” Chamaecyparis literally means “low-growing” cypress, probably referring to the many dwarf, cultivated varieties of the various species. There are two Japanese species, one species from the eastern United States and one in the west. There are, however, over 200 cultivars of this species. 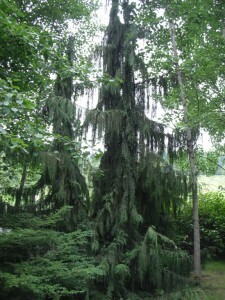 The wild form is an attractive, pyramidal shaped tree to over 100 feet (33m) tall, with lacy, fern-like foliage. It can be distinguished from Alaska Cedar by the X-shape found on the underside of branchlets. The fragrant, clear wood of Port Orford Cedar is strong, lightweight and easily worked. It was heavily logged for a hundred years; the very few old-growth trees still being cut fetch premium prices. This tree should not be planted in moist soils due to the root pathogen, Phytophtora laterilis. This debilitating fungus disease has killed many natural stands as well as park specimens. Wetland designation: FACU+, Facultative upland; it usually occurs in non-wetland but only sometimes is found in wetlands. 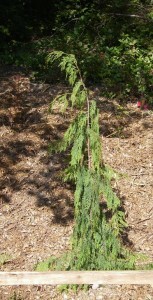 X-markings on Lawson Cypress branchlets. 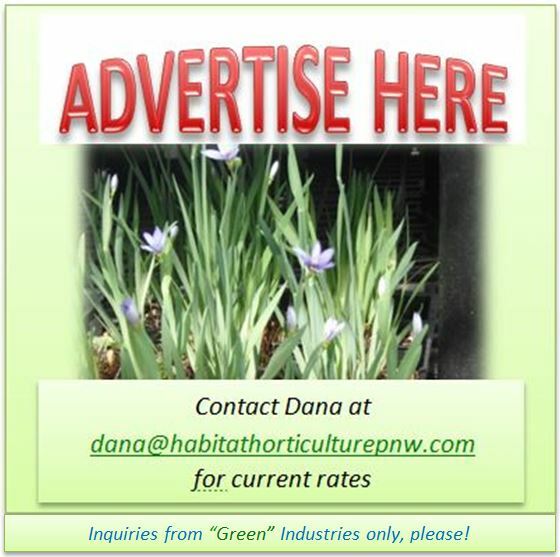 This entry was posted in Conifers on April 30, 2014 by habitatdana.